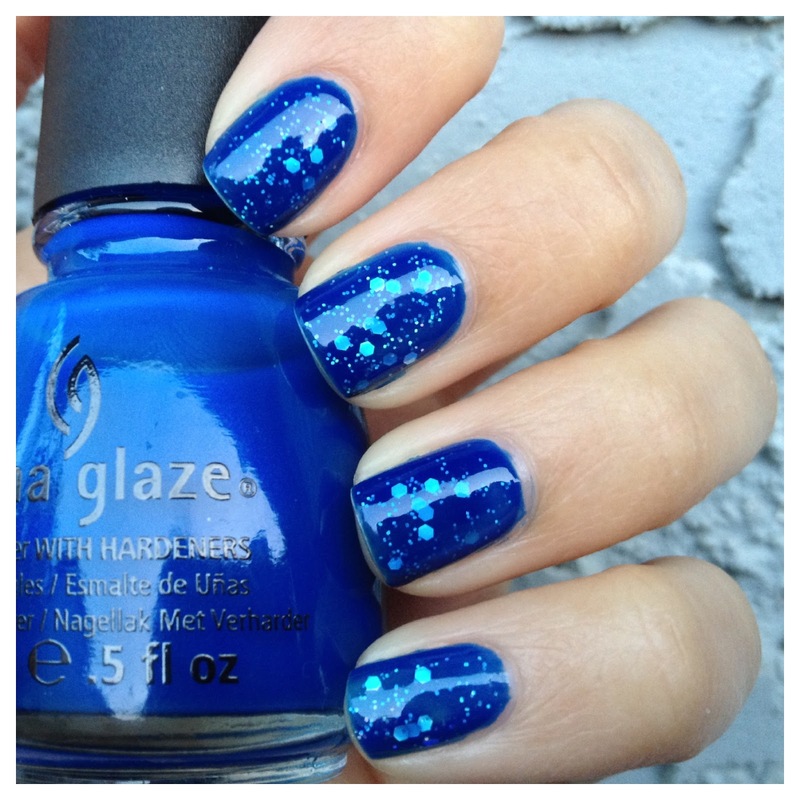 Today's nail of the day is another new experimentation for me. 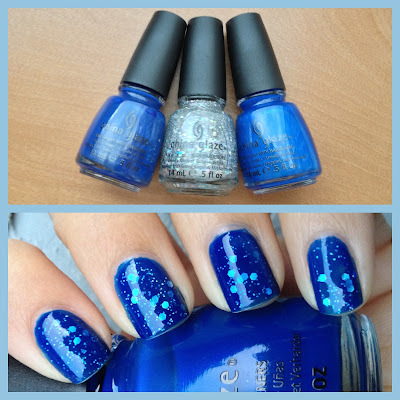 If you haven't heard of a jelly sandwich manicure, it is commonly comprised of painting a layer of glitter polish in between two other polishes. The top layer is typically a jelly finish so the glitter layer can remain visible once it's painted. I was inspired to try doing a jelly sandwich manicure, specifically by the one I saw by PackAPunch Polish. You can find her original post here. 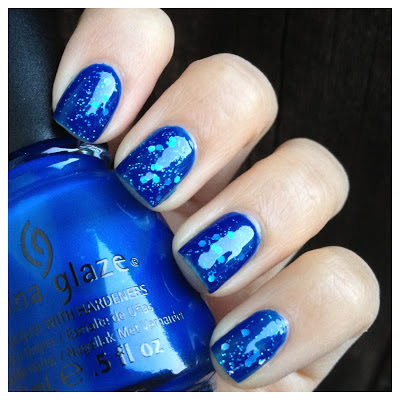 I was incredibly happy when I saw her post because I had bought China Glaze's "Ride the Waves" last summer and was immensely disappointed in the formula. I could not get that polish to be opaque even when I did 5 coats. 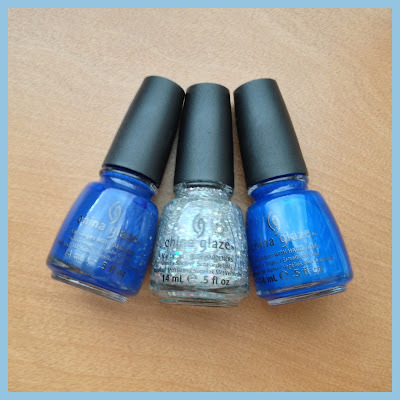 It was my biggest polish purchase regret. So when I saw her use this polish in a glitter jelly sandwich, my reaction was "FINALLY! I can get some use out of this polish!" I switched up the base polish but kept the rest consistent with what PackAPunch polish did. 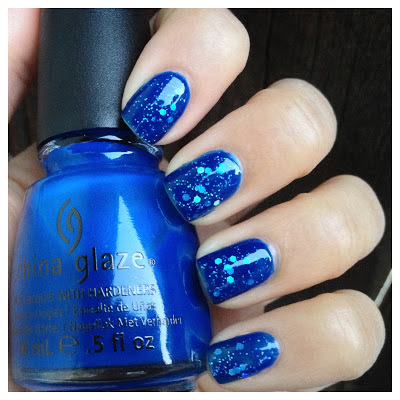 I used "Manhunt" as the base because when I wear blue polish, I like it to be opaque. I'm only okay with visible nail line if its a natural color. "Techno," was a great choice, because even through the top layer of "Ride the Waves," you can see the holographic nature of the glitter. So so pretty. I love this manicure. I am already thinking of more fun sandwich combinations to try and will be much more likely to purchase jelly polishes in the future.